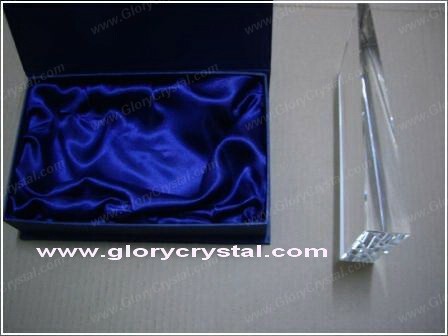 1. we use a individual satin lined gift box to pack the crystal, there are soft foams under the satin to protect the crystal. 2. Then we put the gift box into a white paper cover, in order to prevent the box to be opened on delivery. 3. 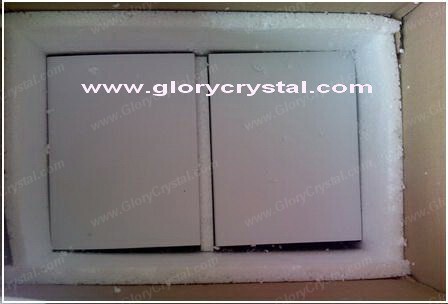 We put soft foams into the large shipping carton, in order to make the foams surround the gift boxes. 4. 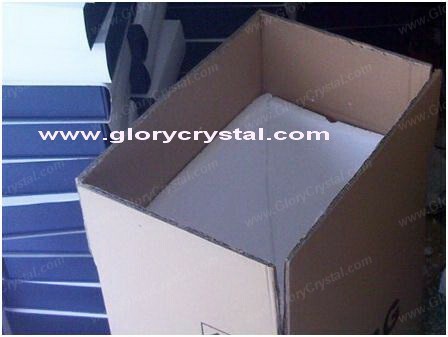 And now when we put the gift boxes inside the shipping carton, the foams will protect them perfectly. 5. At last, we put a large foam on the top of the gift boxes, and then seal the carton. 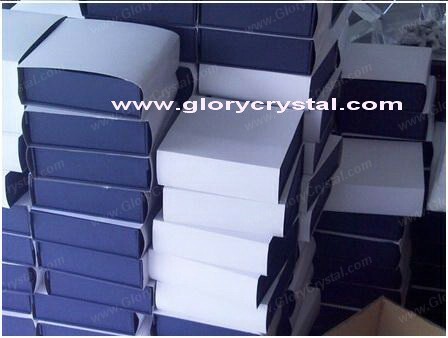 With this strong packing, our customer can receive the crystal and gift box in really good shape.